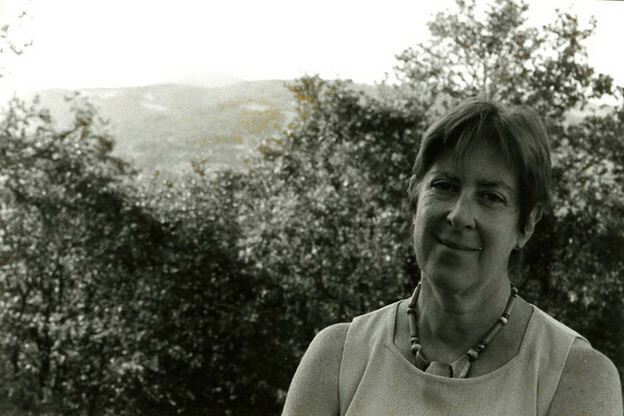 Rachel Blau DuPlessis in Umbria at Il Palombaro, Italy, in 2005. Photo by Robert S. DuPlessis. In his hermetic essay from 1933, “Agesilaus Santander,” Walter Benjamin writes: “The Kabblalah relates that, at every moment, God creates a whole host of new angels, whose only task before they return to the void is to appear before His throne for a moment and sing His praises.” But in an earlier essay on Karl Kraus, he describes the angelic as a kind of monster — part child, part cannibal — a creature who, before passing into nothingness, is either “lamenting, chastising or rejoicing.” Inspired by Paul Klee’s painting, the figure of the angel takes on its final iteration as the Angelus Novus in Benjamin’s “Theses on the Concept of History,” a text so familiar by now I’ll forgo the usual excerpt. Suffice it to say Benjamin conceives of his angel of history as a witness to the folly of progress (or the progress of folly). But this angel is also a victim of what it sees. Immured in history, it’s unable either to rescue itself or to impede events from being engulfed in catastrophe. Benjamin’s angel can do no more than preside impotently over the ruins of history. Its very hybridity seems to militate against effective action: part theological, part material, it belongs fully to neither world. The failure of the angel is located in its status as a messenger. It carries no powers of intervention, no sword of justice to set things right. That task properly belongs to the messiah, the one who will never come. In Rachel Blau DuPlessis’s secular Judaic poetics, a different figure of the angel of history emerges, one whose weak messianic authority derives from its commitment to a midrashic model of textuality. This angel is the principle of continual poetic revision as intervention. It reads and writes the past not as it was, but as it is found: deeply fractured by contingency, open to an ongoing process of revision. The midrashic angel takes up its task not merely by bearing witness to what it sees, but through actively constructing new alignments of meaning from the scattered wreckage of the debris field. As the angel of history, midrash attends to the rubble, less through a work of mourning than by a work of haunting. The distinction here is fine, but haunting is specific form of mourning; an activity which persists at the edges of loss and trauma and that works to keep the trace alive rather than securely bury it. By attending to the bits, this midrashic haunting invests the remnants with new forms of relation. Its method is the bricoleur’s. It cobbles together whatever’s been rejected, overlooked, forgotten, repressed, estranged, emphasizing the visibility of the seams and sutures of its patchwork. How things are joined together becomes as important as their joining. As Gershom Scholem puts it, midrash is “poetic prose in which linguistic scraps of sacred texts are whirled around kaleidoscope like.” For the angel, ruination offers a new kind of redemption; rupture and caesura are utilized not as agents of demolition but as a method for building constellations. Any fragment recovered from the rubble could be loaded with a potential for acquiring new significance once placed in network with other fragments. “Draft 87: Trace Element” (from Pitch) exemplifies this midrashic poetics. Recalling Lacan’s quip that he’d like to know how the spirit can manage to live without the letter even while claiming a position of superiority, it begins by adumbrating the nuances of spirit’s passage into textuality. Following Derrida, DuPlessis sees the trace enjoying a curious state of existence — simultaneously canceled out, yet still part of the count. Its erased shadow is essential to the total chain of signification. In Derrida’s lexicon, trace names the mark, or smudge, which remains even after the logocentric dream of recovering an original or foundational point of reference outside the sign system has been erased. These traces linger, ghostlike, haunting philosophical systems, history, and languages alike, fueling them with the desire for an unattainable goal of recovery. The trace is what remains of metaphysics’ perverse longing for a closed, regulated system (perverse, because focused solely on its self-enjoyment), one undisturbed by that other key Derridean term, play. Trace comprises the very core of différance since it both overturns and keeps in play the logic of the recoverable origin. Derrida is emphatic on this point. “The trace is in fact the absolute origin of sense in general. Which amounts to saying once again that there is no absolute origin of sense in general.” The trace places the idea of origin under erasure, as Derrida argues, destabilizing its claims to authority, rendering it, in effect, porous. The trace, then, is what haunts every sign, and indeed, the entire logic of every system of meaning or signification. But this haunting is more than the phantom of discredited metaphysics. It opens a path into rethinking how memory and history are mutually braided. “Trace Element” begins by tracing the idea of trace from a variety of angles. whether, what if underlying them. Incipient emptiness of a living void. dragging vestige, graffito and spoor. Gradually, these metaphysical considerations give way to tracing the shadow of trace through history in order to “illuminate the breakage” (93). “For traces caused by enormous historical crimes // one thinks, unthinks, and thinks again. // Molecules remain in air. We breathe each other in. // This is not consolation” (101). What was it? What did you want? Finally (not finally, though) trace implicates us all in its melancholy and guilt. continue, fully unable to imagine it. The poem turns on this pivot. In recognizing its own site as a trace (a moment, also, of méconnaissance) it locates the power of imaginal capability contained within the ceaseless production of associations the flake calls up. Each minute particular is a tiny messianic gate. All the minute particulars of the daily are rife with potentiality for signifying otherwise by activating the power of the poem to re-link language continually through yet another chain of signifiers. The power of the trace takes on recursive properties, investing language with a messianic explosiveness that can cut through the scar tissue of history. “The trace emanates the trace! … / trace is inscribed everywhere / and the world is trace, / but without a reader” (108). The danger here, for DuPlessis, is that the trace verges uncomfortably close to losing its material character and performing merely as a surrogate for spirit or some other reifying abstraction. She pulls back from this position by ruefully acknowledging that “we are custodians of the meanings / we make of world. / It is circular, / this argument, if it is one, / but to pine / is ridiculous. / This is / trace at its best” (109). The epitome of trace, in this view, is that it returns the reader to the world with a new sense for the potential of as yet unmade connections. “Let the shard become readable by / jaggedness and by piecing, / let letter engage its crowns / let black be luminous with luster” (109). DuPlessis’s shard does not provide, as Oppen’s notion of impenetrable matter wishes to, some indestructible bedrock. Rather, it acknowledges its own contingent status by remaining opens to the possibility of further damage. For DuPlessis, the trace inverts the hierarchy between outside and inside, supplement and origin, or, more specifically, between midrashic commentary and original text. In Drafts, there is no original text, no founding principle except that of the midrashic trace itself, the ever-repeatable and circulating return of the poem to the poem in a process that generates yet another poem, another commentary on the process. This potentially endless procedure of reiteration is given a vivid and witty turn at the close of “Trace Elements,” which invokes as a model for such a poetics that masterpiece of the bricoleur’s art (and a model as well for Ronald Johnson’s ARK), Simon Rodia’s Watts Towers. The verbless sentence, brought up short in a characteristic self-commentary, gains rather than loses its momentum by this seemingly spontaneous interruption. While this gesture, which comes to mark Drafts more and more as it progresses, flirts with the idea of a verbless sentence, a kind of ideal fragment or ur-kernel of utterance, it sustains itself on the strength of the dialectical subduction that, not without some calculated violence, yokes lowly typography to the empyrean seraphim who, following Benjamin’s Talmudic angels, sing endlessly their praises of the Most High. But it is not spirit that has not passed into and animated inert matter. Quite the opposite, matter itself is made to sing here, through the miniscule flourishes of alphabetical design. The trace is both valediction (“ahead of all parting”) and inauguration. Congruent with midrashic self-reading, it guards memory even as it reframes it, generating the weak messianic force as a momentary stay, not against confusion, but in productive confusion. “Memory,” according to the Baal Shem Tov, “is the secret of redemption.” But the recovery of memory is itself an endless operation. This is another way in which Drafts invites us to read it as angelic. Each poem ascends and descends like the angels in Jacob’s dream. Each arrival (above? below?) is also a departure and either one of them acts as the occasion for generating another poem in response to the poem that’s preceded it. Indeed, in Drafts poetry reads poetry. This reading carries an angelic function: each poem is the message that the other poems desire. And because the poem as angelic messenger is also the message itself, each message is altered by its encoding and delivery. 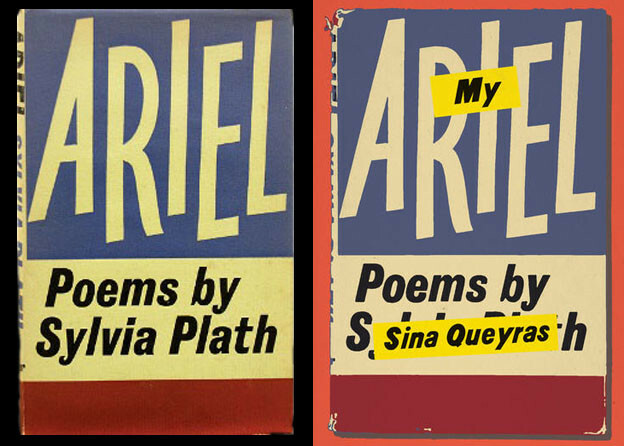 At the same time, no poem can become the final message, the elocutionary act that forecloses or fulfills all others. While Drafts is continually redeeming the meaning of time, of lived experience, full redemption not only eludes it but is actually antithetical to its logic. The end of any poem is also a forgetting. It signifies the necessity for writing again, writing over, writing beyond. Such a radical poetics of fire and cinders, of saying, destroying, and saving, traces a finite set of themes along a fractal curve of infinite loss and recovery. It reverses the Pauline claim that “the letter killeth, but the spirit giveth life.” For spirit as such has failed. This is the message the midrashic angel of Drafts bears. And it is a message of hope. A midrashic poetics suggests that we must regard form itself, in all its dissolution and reformation, as the ongoing process of redeeming time. 1. Walter Benjamin, Selected Writings, vol. 2, part 2, trans. Michael W. Jennings and H. Eiland, G. Smith (Cambridge, MA: Belknap Harvard), 712. 3. Gershom Scholem, Walter Benjamin: The Story of a Friendship, trans. Harry Zohn (Philadelphia: Jewish Publication Society, 1981), 107. 4. Hartman’s discussion of midrash is the shadow text under many of my own remarks here. See “Text and Spirit” in Scars of the Spirit: The Struggle Against Inauthenticity (New York: Palgrave, 2002), 119–37. 5. See Adorno, Minima Moralia: Reflections from Damaged Life, trans. E.F.N. Jephcott (London: Verso, 2003), 263. 6. Jacques Derrida, Of Grammatology, trans. Gayatri C. Spivak (Baltimore: Johns Hopkins University Press, 1974), 65. 7. Rachel Blau DuPlessis, Pitch: Drafts 77–95 (Cambridge, UK: Salt, 2010), 78–79. Subsequent page references to this text appear in parentheses. 8. Quoted in Susan Handelman, Fragments of Redemption: Jewish Thought and Literary Theory in Benjamin, Scholem, and Levinas (Bloomington: Indiana University Press, 1991), 149–53. 9. Geoffrey H. Hartman, The Fateful Question of Culture (New York: Columbia University Press), 113.